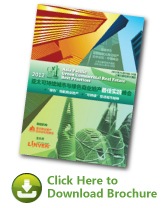 Asia Pacific Commercial Real Estate Cooperation Forum Committee and Linver Insights have hosted three annual successful “Asia Pacific Commercial Real Estate Cooperation Forum” in China which has gathered strong industry authorization and influence. The form has been adhering to the professional, interactive and innovative concept and devoting to provide the most effective and valuable “one-stop” solution provider platform for China and Asia Pacific Region. There is several breakthrough innovation & capturing the core issues & persons in current commercial property industry around Asia Pacific & China region. Well organized trough two-day excellent keynote & discussion, I benefit a lot. I feel very worthwhile to attend through interesting topic, deep panel discussion & various summit patterns! 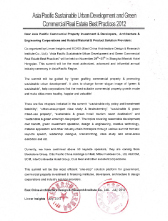 APCREC forum has provided an seamless platform for developers & architects and promoted property development in China. Overall, a very good conference with excellent contact and networking opportunities. Very honered to be invited by Linver Insights and CCREA. The forum is effectively organized, contained fruitful contents and large benefits! Thanks to Linver Insights, that provides more interactive opportunities for us and owners! 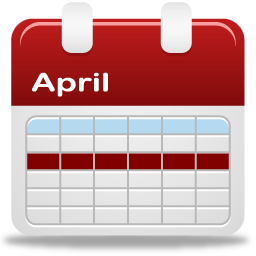 We see our partners and potential clients all-in-one this forum, It's beneficial to learn regulation trends and case studies in this industry. "The 2nd Asia Pacific CREC Forum" is a real banquet focusing on intergrating, innovation, humanity and consistency! Panel discussion and interactive networking is the highlight, very practical content and hot discussion. It's not only a conference, but a very good platform for us professional peers to share and communicate. Well organized event, including high quality keynote, panel, group discussion, really got lots of valuable information. A very interesting network and experience sharing platform for us to hear from other professionals, to get in-depth insight, very helpful. A well-organized event! Each delegate is very active, and the speech content is very rich. The organizer invited different professionals, very representative. Actually Tier 2 and 3 the elementary step of urban development, also is where commercial real estate lacks. I strongly agree that you would do more forums and events in Tier 2 or 3 cities, thus more developers will step into low tier cities, put more emphasis in this field, also to activate the commercial property industry climate. This event is good, with many real estate developers, design institutes, also suppliers and planners, I think it would be better to have more data analysis in next event. The level of attendees from shopping malls and real estate developers is very high, some of them are who we would like to acquaint with, like Sun Hung Kai Properties, CRVanguard, GOME, and some other developers in Tier 2 Cities. 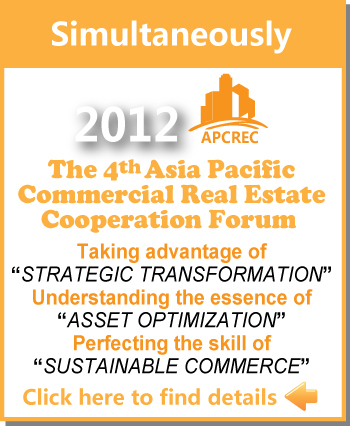 Many thanks for you to organize 2011 Asia Pacific Commercial Real Estate Cooperation Forum. Through this platform, we also wish that you could recommend us to some large-scale developers, especially for those who would like to put emphasis on HOPSCA. Overall compact arrangement, a certain depth of content, it's a good platform for us! Hope the theme of the presentation can be allocated from shallow to deep next time. Wish to see Linver Insights' next summit!